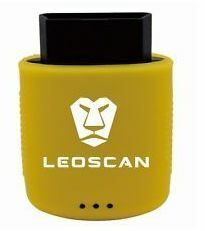 support remote scanning by which it can scan car by just sitting in the garage even though car is 1000KM away from that garage. 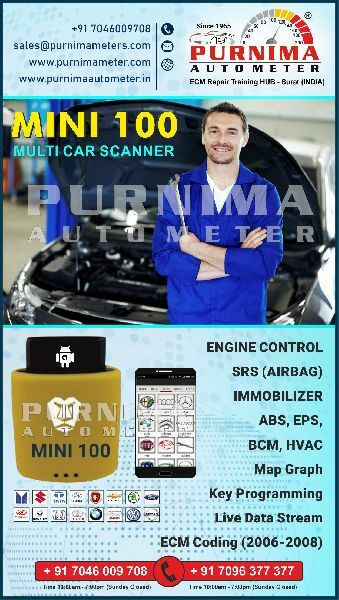 Mini100 Multicar scanner also support social media by which car technicians can connect with other technician’s community and get help for scanning and repairing procedure. Technicians can also solve problem of other non technicians query online and create new source of income. 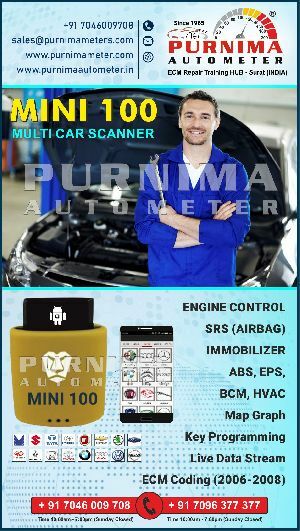 Mini100 Multicar scanner also supports online car database and repairing procedure and tips specially design by Mini100 Multicar scanner and hence can give faster and efficiently result. Can scan 12V car and can be updated to 24v commercial vehicle. Can support multi graph display of up to 15 graphs at a time which is one of the largest graph displays in any Mini100 Multicar scanner scanner till date. Aisan: Mahindra, Maruti, Hyundai, Tata, Toyota, Nissan, Mitsubishi, Acura, Changan, Daweoo, Gaz, Hafei, Huachen, Jiao, Lexus, Xiali, Xinkai, Holden, Australia Ford, Ssangyong, Changhe, Infiniti, Perodua,Proton, Qirui, Tlisuzu, Zhongshun, HM,Changcheng, HaoQing, Jinlong, Liuwei, ZhongTai, ZhongXing, Isuzu, Jacty, JPIsuzu, Mazda, Daihatsu, Kia, Subaru, Suzuki.